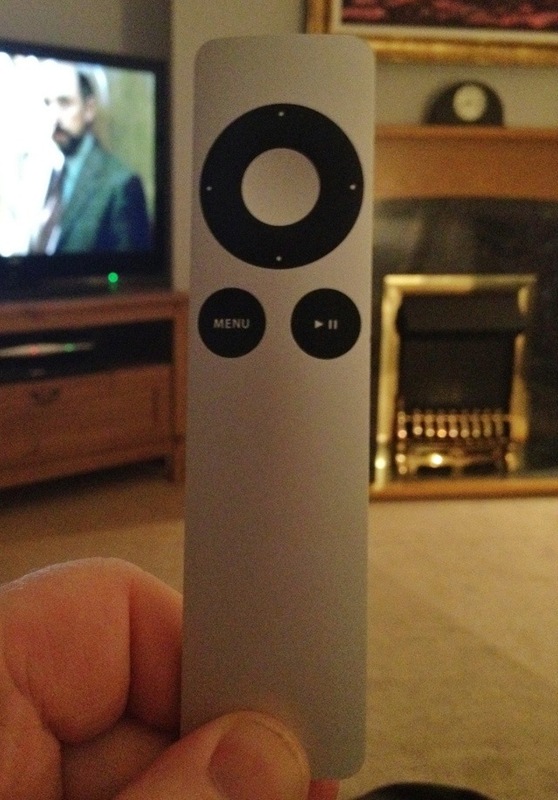 On the day Apple has announced the new Apple TV, I’ve a question about the current model. This is the remote. It seems to be a single piece of metal, with the only obvious opening being the small one for the battery at the back, which only gives access to the battery compartment. So, I’m struggling to work out how it’s made: how do the innards get in? Does anyone know? This 1,554th post was filed under: Photo-a-day 2012, Technology, Apple.